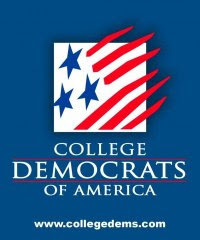 On behalf of the College Democrats of Indiana, I would like to invite the college democrats from across the state to the CDA national convention in Charlotte, North Carolina! The CDA Convention is a rare opportunity to grow as a federation and as individual chapters. While at the 2009 national convention in Washington D.C., Indiana was humbled to receive the "Rising Star Federation" award. At last year's convention Indiana had 10 students represented from Ball State, Purdue, Notre Dame, IUSB, IU and the University of Indianapolis. We are hoping to have even more students and schools from Indiana at convention this year. This year's convention will begin Thursday, July 29 and end on Sunday, August 1. It will be held on the campus of the University of North Carolina Charlotte. Bringing together College Democrats from campuses across the nation in the state where we had the highest youth vote margin for President Obama promises to be a very exciting experience! Registration is $65. This includes meals, training guides, CDA materials and more! Check our website online for updates on convention. Any questions about registration should be directed to Executive Director, Tamia Booker at convention@collegedems.com. Any questions regarding transportation and housing should be directed to Andrea Watts at watts.andrea@gmail.com.